JB runs a private detective agency, but if business doesn’t pick up soon, he’ll have to close the doors for good. When someone steals Hekate’s chalice, JB and his maverick team jump at the chance to track down the supernatural object. They’re resourceful and determined, but can they outsmart wizards, witches, and daemons before the client’s deadline expires? 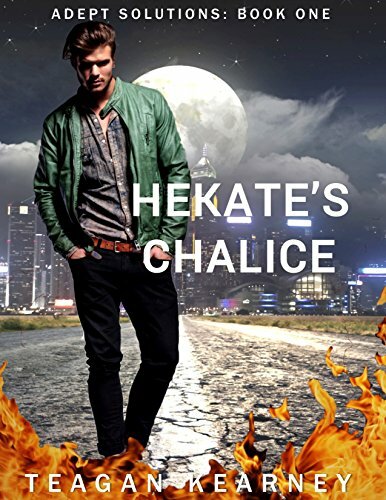 If you like gripping mysteries interwoven with generous doses of magic and humor, then you’re going to love Teagan Kearney’s book, ‘Hekate’s Chalice’, the first volume of the ‘Adept Solutions’ series. Click ‘Buy now’ to enter this imaginatively creative world today!